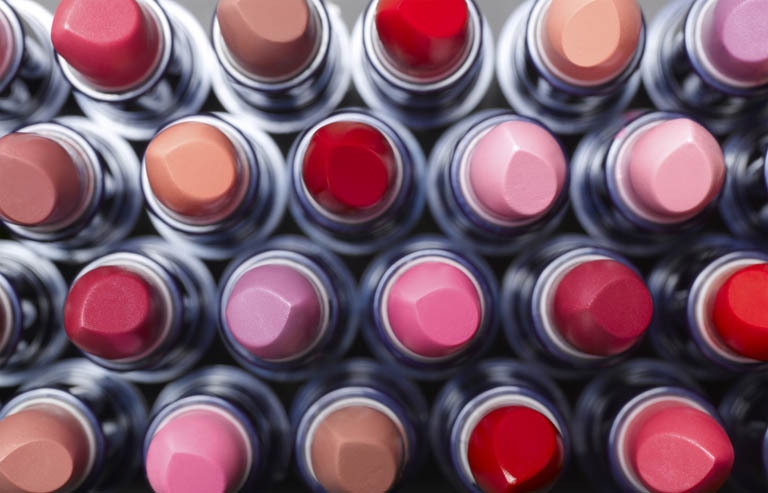 Titanium dioxide is one of the cosmetic industry’s best-kept secrets – playing a central role in the development of products for sensitive skin. Mineral make-up is big business in the cosmetics sector, with more and more wearers looking at the benefits pure, earth-derived ingredients can offer. This trend has seen titanium dioxide (TiO2) – in both its pigment and non-pigment forms – take centre stage in beauty halls the world over. But actually, its use was established decades ago, particularly in decorative cosmetics and suncare products suitable for sensitive skin. What makes TiO2 so attractive? TiO2, or CI 77891 as it is known in this market, is one of the cosmetic industry’s best-kept secrets, having been used by beauty brands and skincare manufacturers alike for decades. Colour – Use of pigment form TiO2 with other colours gives intensity and brightness to decorative cosmetics, as well as allowing manufacturers to create many different shades to suit all skin types in foundations and lipsticks. Light – TiO2 helps soak up oils in the skin, while lending it an opacity that reduces any unwanted shine – a key selling point for any matte-based cosmetic. UV – Non-pigment form TiO2 is a key ingredient in sun care products, absorbing and scattering both UVA and UVB rays, which prevents sun burn and premature ageing. This can be harnessed in cosmetics too, giving UV-protection properties to creams, foundations and lipsticks. Texture – In its non-pigment form, TiO2 particles become transparent, helping to create much smoother and sheer formulations with a better spreadability. Its opaque qualities are also crucial to formulations that conceal blemishes. Staying power – As an insoluble mineral, non-pigment form TiO2 is prized for its long-lasting and waterproof properties, which is important for suncare products in particular. Although TiO2 is a mainstream staple, it is also one of the most important ingredients for beauty brands catering for people with sensitive skin. The reason for this is straightforward: TiO2 is inert – which means it will not react with other ingredients. This allows it to be used in products applied to the most sensitive areas of the body, including around the eyes, eyelids and mouth, with a greatly reduced risk of allergic reactions. Are there any viable alternatives? Today, pigment form TiO2 is certified in the USA by the Food and Drug Administration (21 CFR 73.2575) and in the EU as colour additive, E171; while non-pigment form TiO2 is certified for safe use in the USA by the United States Pharmacopeia and in the EU (Annex VI, Cosmetics Regulation 1223/2009). Restricting or limiting the use of TiO2 in cosmetic products would have a clear, negative impact on consumers who rely on its inclusion in products for sensitive skin. Not only could they be presented with less choice, but the use of an alternative ingredient could potentially increase the risk of allergic reactions. The European cosmetics industry is worth more than €77 billion and represents the world’s largest market. Any moves to restrict the use of TiO2 would cause widespread disruption for businesses – limiting the range of ingredients at their disposal, driving up the cost of R&D and ultimately, compromising the quality of the formulations and reputation should any adverse reactions occur.